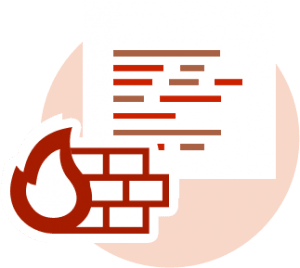 All unmetered bandwidth VPS plans include powerful DDoS protection. Thanks to KVM virtualization, Linux and Windows operating systems are supported. * Monthly price if you pre-pay for 3 years, which includes 40% discount. All unmetered hosting products come with 750Gbps premium DDoS mitigation. Nobody will be able to take down your Linux VPS with a DDoS attack, it’s being protected 24/7. You can upgrade to the next bigger plan or an SSD VPS at any time. If you need more resources than you anticipated, just upgrade your VPS hosting plan with the click of a button. We use only the best latest hardware to power our KVM VPS host systems. This means that you can expect an extraordinary performance of your virtual server even at peak hours! Our multi-homed network is a blend of only the best transit providers. Our network is redundant, which means if one carrier is having issues, all unmetered traffic gets redirected through another one. You can reinstall the OS or reboot the virtual private server from a SolusVM control panel. Our virtual and dedicated servers are unmanaged by default, but you can select a server management option. We offer 24×7 support that is there to help you with your questions around the clock. We don’t use L1 and L2 support tiers, you always get through to an L3 technician to assist you. 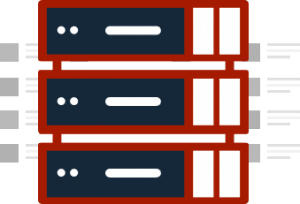 What is an Unmetered VPS? Unmetered hosting means that its bandwidth is not being metered, ie. there is no monthly data transfer (traffic) limit. Generally the bandwidth a VPS is metered, which means it gets counted and you pay for the amount of data you transfer. Unmetered bandwidth, on the other hand, means that the transferred data doesn’t get counted in any way and you’re free to use the provided 1Gbps or 10Gbps as much as you want. In other words, this translates into unlimited monthly traffic. These types of VPS (Virtual Private Server) plans are ideal for high bandwidth applications that need a lot of traffic, such as streaming (eg. Shoutcast) or web hosting of larger files. You’re welcome to benchmark our plans and compare them to regular Linux VPS packages of other providers. Regular virtual private servers (let alone shared hosting) from another hosting company don’t come with more than 100Mbps port speed and normally just 2.80GHz CPUs. However, 100Mbps is way too slow for high traffic applications. Our plans include up to 10Gbps port speed, so you’ll never run out of resources! Dedicated resources and the ability to run and operating system and kernel you need. Please note that this is a standardized web hosting environment and cannot be confused with the management of a completely custom environment/application and you don’t get full root access with fully managed private servers. This setup is also available for each dedicated server we offer. A fully managed virtual private server comes with a lot of perks and premium support services. In your client area you get access to a Vesta hosting control panel from where you can manage all aspects of your web hosting, such as e-mail or FTP accounts, add/delete domains and much more. These are just a few highlights of what our fully managed Linux virtual private server hosting has to offer. The Fully Managed hosting option is recommended for everyone who operates a website that requires great performance and security. It comes without root access to the unmetered KVM virtual private servers and the whole environment is managed by JavaPipe’s professional SysAdmins. You don’t need to worry about maintaining anything but your application itself and you can fully focus on your core business. cPanel/WHM managed VPS servers and reseller plans are also available upon request. What is Unmetered Bandwidth and Why Do I Need it? 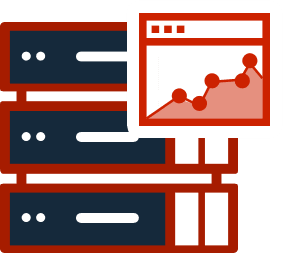 How Is Unmetered Hosting Different from Traditional Hosting? What’s the Difference Between “Unmetered” and “Unlimited” Bandwidth?